This book isn't just a Doctor Who novel. 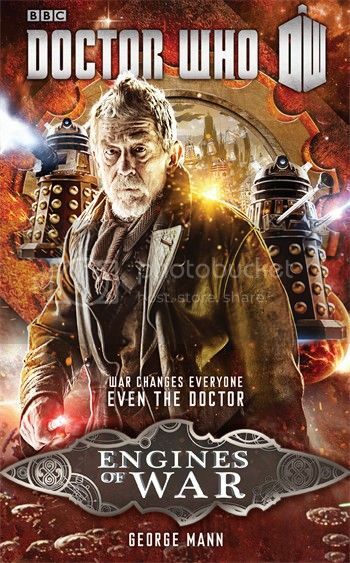 This is our second ever look at the War Doctor. And there is no mistaking this for anything other than a war story. Although not so much a set battle one, more a small special forces engagement in a huge war. That's not to say there aren't any large engagements in this story, there is in fact some major battle action going on in these pages. The word Battle Tardis is used several times and it signals a quite different side of the Time Lords than the one we have been used to seeing. This is a glimpse into the much talked about Time War, and also our first look at how the War Doctor functions as the only Doctor Who in a story. I say only Doctor, because the War Doctor doesn't work on his own here. As you can see from the above cover cope he meets a young woman, Cinder. She's not a standard Doctor Who companion, but more of a battle comrade. Actually she does more fighting than the Doctor himself does in the course of this story. Cinder is an interesting person to get acquainted with, and she is a needed human insight into the story of the war between the Time Lords and their enemy the Daleks. Mann avoids making Cinder a standard female Science Fiction warrior although she at times seems like she is about be one. There are some parts of her backstory that feels like it lacks a bit of originality. But let's be honest here, she really exists in this story as a companion rather than a totally separate character, and she is a very good companion. She can more than hold her own, and you feel that she really does have an effect on the Doctor. For me it isn't a completely new experience to read about a Doctor I hardly know anything about, but in this instance I share that with everyone else. We are actually getting a completely new Doctor here, at least in a solo adventure. It's sort of a strange experience meeting someone who is so familiar, and yet not quite the same as you are used to. This feeling struck me more than in the regenerations I have seen on TV. The lack of visual aids means that this incarnation of the Doctor is to a much larger degree dependant on how he acts rather than how he looks. In my opinion, Mann has managed to give us a great second look at the War Doctor. We are only watching a short event in a long war here, but we get a good glimpse into what it is with this regeneration that formed those that came after it. It's not a hundred percent fully formed character we are presented with, but we still see enough that at the end of he novel you have a quite good idea of who the War Doctor is, and what makes him tick. It's a glimpse that whets the appetite, and I hope we will get to see more of this Doctor in the book universe in the years to come. The story is of course also important. There's no ignoring that it incorporates some elements that will be familiar to someone who is familiar with Doctor Who. I've already mentioned a new companion, in the shape of Cinder, and that the Daleks are the enemy is evident by a quick glance at the book's cover. There is however many elements that are not such a staple of a story about the Doctor. The immediately obvious one, and one that I have already mentioned, is that this is a war story. The Doctor starts out this story on a war footing, and we have no time spent of him figuring out his exact whereabouts, or what he is supposed to/can do where he is. From the above you'll probably gather that the "discover phase" of a Doctor Who story is absent. For me that felt a bit strange, the finding out what is going on is a prologue I have become used to in the Doctor's stories. It does however become clear that this does not detract from the story at all. Being thrown into the action in the way we are makes for a plot that is action-loaded from the start, and it continues in that vein for most of its length. There is certainly some passages here that are more sedate in pace than a battlefield story, but they add more to the dread of war than anything else. We get to see what the Time Lords are like at war, and we see some sides to them that are very interesting. I won't go into what the Doctor ultimately ends up doing, but the way there is a good one. There is plenty of tension in what we are presented with. And there are some twists that keeps the level of suspense up throughout the novel. All in all this is a great first look at the War Doctor solo. Mann tells a really good story that has plenty to offer both Doctor Who fans and Science Fiction fans in general. I thought this was a great read, and would recommend it as a good starting point for anyone who hasn't read any Doctor Who. And if you ever have wondered about the Time War, there is no getting away from going out and getting this book. NOTE: A US edition will be out 9 September 2014 from Broadway Books/Crown Publishing. 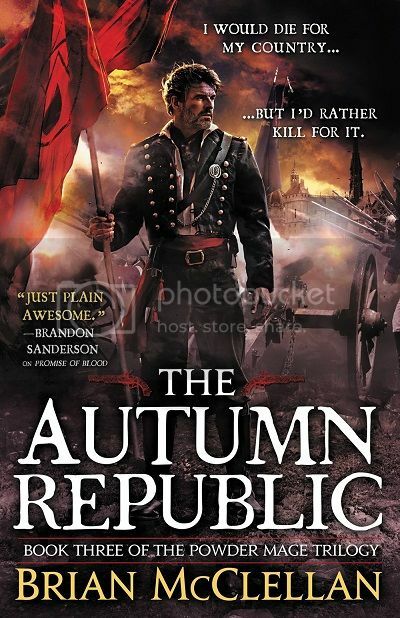 ANOTHER NOTE: I was provided an e-ARC of this book by the publisher through NetGalley. REVIEWS: You can find my other Doctor Who reviews here. And that's only the beginning of Daryl's problems, as he seeks to escape something far worse than he can ever imagine. This novella begins with an established Horror trope. You know, the one where someone gets lost and finds themselves in a place that is both surreal and eerie. Interestingly enough, to me at least, this happens in Yorkshire, where I moved four months ago. Although I live a little bit from where this is happening, I am familiar with the type of location this is set in. Tropes aren't something that are inherently bad, although for some reason they are often talked about as if that was the case, and in this case Fry does use it to good effect. It doesn't really transcend the trope it starts out with though, although it does tweak the story such that it moves in a slightly unfamiliar direction. Fry does a very good job at building the atmosphere of the novella. Mostly he does so through the main character, Daryl, a character we learn a lot about in a short timespan. Daryl is an excellent protagonist for a story like this, and the author has made a very good choice in who he lets us see what unfolds through. It's unclear whether Daryl is shaped by the story, or the story shaped by Daryl, he is just a so good fit that the distinction between the two gets pointless to me. I'll leave it with the character and story perfectly complement each other. I already mentioned that the story makes some tweaks to the trope it uses. I found those to be both refreshing and unsettling. Unsettling in the way that it does somewhat mess with your preconceptions. The way it doesn't quite turn how you expect it to makes the story a bit unreal. It just feels like it is not quite right, it just doesn't do what you thought it would. Of course that feeling of unease is a plus for a Horror story, and it heightens the feeling of unease and suspense that the story conveys. but it was a little bit distracting at times for me. Not the fault of the author, but a disconnect between the story and my preconceptions about how this trope will move. The only slightly weak point in this story is the ending. It felt a little unsatisfying to me. It is not a bad ending, it was just that the rest of the story gave me expectations of something a little bit more than what I got. Overall, this is a good read. It accomplishes both creating a great atmosphere and letting us get very close to the main character in a very short time. It does also tell a nice little Rural Horror story that manages to be unsettling in both its familiarity and unfamiliarity. If you want a quick Horror read that makes good use of a familiar trope, I can recommend picking this up. It is a tale that is well worth spending a little time with. Labels: DarkFuse, Gary Fry, Horror, Novella, Rural Horror. 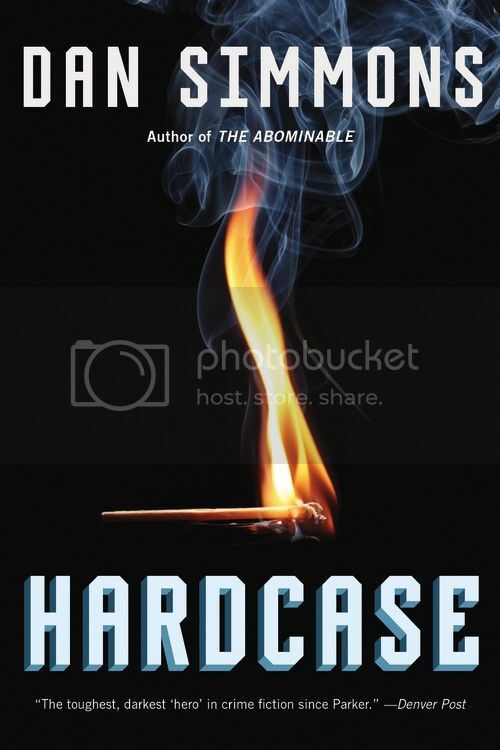 Retired homicide detective Bill Hodges is haunted by the few cases he left open, and by one in particular: in the pre-dawn hours hundreds of desperate people were lined up for a spot at a jobs fair in the distressed Midwestern city were he worked. Without warning, a lone driver ploughed through the crowd in a stolen Mercedes. Eight people were killed, fifteen wounded. The Killer escaped. Months later, on the other side of the city, Bill Hodges gets a taunting letter in the mail, from a man claiming to be the perpetrator. Hodges wakes up from his depressed and vacant retirement, hell-bent on preventing that from happening. This novel has more in common with King's Hard Case Crime novel Joyland than with most of his other novels. That is to say it is a Crime novel, unashamedly so. 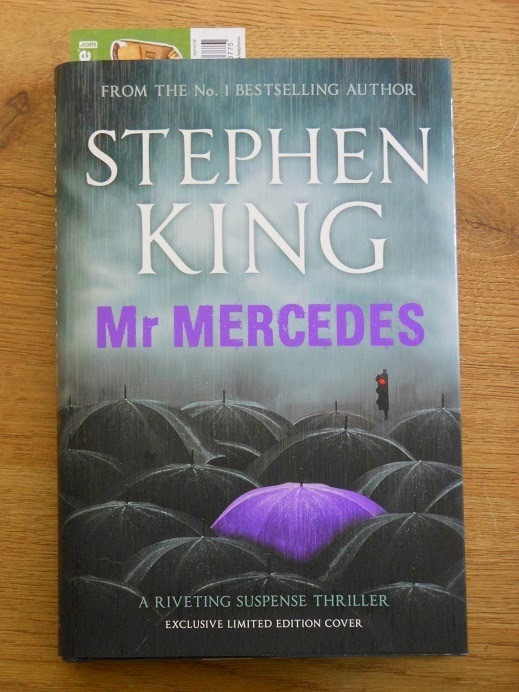 (Although it is easy at this point to argue that Stephen King Novel is really it's own literary subgenre.) If you have read Joyland, you will be well aware that King can pull of an excellent Crime novel when he tries. He certainly makes an effort to do so here. At first glance there is not much that is new here. The detective coming out of retirement to solve a large case is not exactly a new invention when it comes to Crime. There are some fresh elements in this novel though, mostly his two helpers. The first one, Jerome, seems at first to be a token Computer Whiz Kid, but he turns out to have a much larger part in what is to enfold than what can be suspected from our first meeting with him. The second one, Holly, -well- it's hard to say much about her without giving anything away. It will have to suffice to say that she is hardly a typical character, she has greater complexity than most "sidekicks". Bill himself is perhaps closer to the faulty Noir Crime detective, but he has something extra to him too. And his role in the final showdown is certainly a novel one, and it comes with its own share of suspense as to where we will see the character end up. There is one point at which this novel is much the same as other King novels, it has King's trademark build-up. We really get to know the characters and their situations. Here that includes Brady, the titular character - and the story's villain. In some ways it is Brady that we come closest too, it is him that we get the most intimate details about. He is never sympathetic though, King tells his story without making you feel sorry for him. This means that there is absolutely no suspense in who the killer is, but there doesn't need to be any either. It is not what the narrative is going for, and I can't see that this story would be improved by not knowing who the heroes are looking for. The paragraphs above makes for four main characters, which could be a bit much if every character got the same space. There is however a focus on Brady and Bill. We do not get to see much from other viewpoints, and neither do we have to. Aside from these four there are several other characters in supporting roles, they are all well realised. King once again shows us he can do very good characters, and let us get really close to them as we follow their story. One character did however cause a problem for me, that character is Janey. She is absolutely a good character, and she does come off as someone you would like to spend time with. However there is a part of her story that I felt was a bit cheap. Too easy, and not really up to the standard of the rest of the book. (It will be obvious what I mean if you read the book.) I don't really know if what I am talking about could be done differently without changing other events around, but what happened did feel like a bit of a letdown. This did not majorly effect my experience though, it just made it a little less of a perfect novel. When it comes to the level of suspense, King is masterful as always. The novel starts out with a tense and eerie prologue. After that the tension soon starts to build gradually. By the time you get towards the end of the book you'll most likely be on tenterhooks. The last one hundred pages almost left me breathless. At that point the level of suspense is off the charts. This might not be Horror, but it doesn't really hold back in creating the feeling the constant reader will be familiar with from king's other work. To sum up, I found this to be an excellent King novel. Apart from the small flaw mentioned above, there is nothing wrong here in my opinion. This should be excellent reading for any Crime fan, and I will also recommend this highly to King's SFF fans. It is simply a wonderfully told story that should appeal to anyone who wants some suspense when they sit down to read. I have been in contact with him on e-mail, and the book will be on its way to him this week. I've been a bit quiet lately. The reason is that I haven't had much time lately. And what I have had has been flying past. I'll have some reviews up starting tomorrow. For those that have been waiting for reviews; I am sorry for the delay. They will be coming up shortly. Since I haven't gotten many entries, I thought it would be a good time to remind everyone that I have a giveaway going. You can read all about it here. It will be going until midnight 14 April. I'm afraid it is open for Europe only, but if you live in Europe, please enter! I've been a bit quiet on the blog the last two weeks, but will have more stuff up from Tuesday. 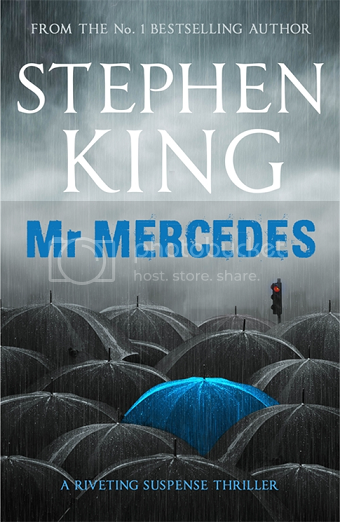 Upcoming reviews include: Mr Mercedes by Stephen King, The Cyberiad by Stanislaw Lem, and Best British Horror 2014 edited by Johnny Mains. 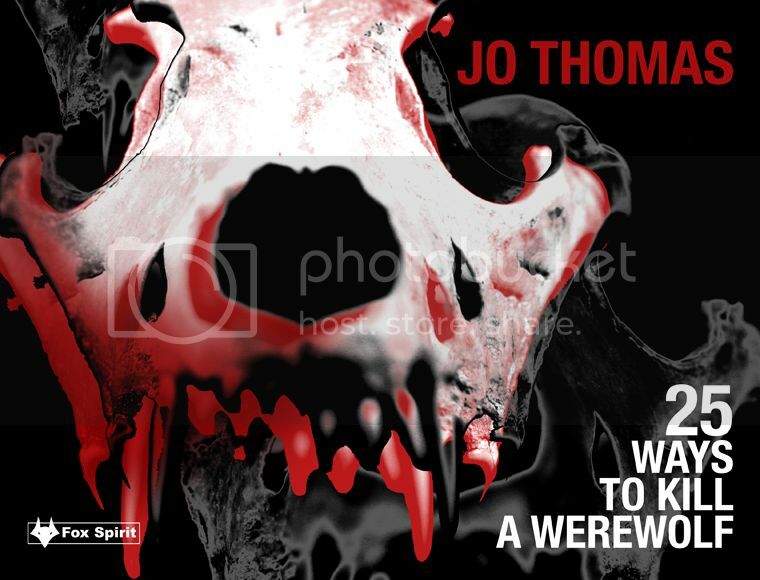 Cover design by Jo Thomson using Shutterstock images. What do you get if you cross Urban Fantasy, Fairy Tale retelling, Lovecraftian Elder Gods, and add a bit of romance? Well, if you are Liz de Jager you'd have the mix necessary to write a great book. After a very nice introduction to our main character, Kit Blackheart, we quickly learn about how special she is. This may give you a moments pause, it did for me, there are a lot of characters that have something special about them or who outright are the chosen one in modern Urban Fantasy/Portal Fantasy. (Harry Potter arguably belongs to that "slash"-genre.) Actually, that is an unnecessary worry. It didn't take long before I completely forgot about it, and it doesn't come into play in that sense in the story. Kit is nowhere near a carbon copy chosen one, she comes across as a fully formed person that isn't necessarily the brightest, strongest, fastest, etc. in the room. And that made her all the better in my opinion. Even though she is not an average young woman, she is very relateable. She seems like the sort of person you will meet at some point in your life, someone who despite what makes her special is not too far removed from someone you might meet in your local bookshop. This is the type of Fantasy that demands good characters, and de Jager handles characters very well. Kit isn't the only one that feels very real, all of them comes vividly to life on the page. Even the villains of this story are really fleshed out, and although their motives are definitely otherworldly they make perfect sense in context. Something I feel is a necessity for immersion into Fantasy, and something de Jager delivers on. Characters aren't everything in Urban Fantasy/Portal Fantasy, and once you are satisfied they are up to scratch (, which they certainly are here), what you usually look at is the setting. The Fae world as a setting predates Fantasy as a genre, and it takes a deft touch to use it without it feeling stale. De Jager manages it with aplomb though. It's clear that she has done her research, but she has made her own spin on the source material, the myths and Fairy Tales, and made a world of her own that feels fresh to the reader. Infodumping can sometimes be a problem in Fantasy, de Jager manages to avoid it by integrating it very well into the text. A lot of information is passed to the reader in conversations and other character interactions, but it always flows very well and never feels like showing off the structural supports of the story. Some extra bits are left for chapter introductions, and I really liked those. They give lots of interesting little snippets of information that feels like garnish on a good meal. So far I've spent a lot of time on the framework the story is built on, the characters and their world, time to move on to the story itself. It's a really fast-paced one. Not that it always moves along at break-neck pace, because it doesn't. There are some passages where we get to know the characters, and discover what is really going on. Those passages are however far from boring. However de Jager has a tendency to drip feed things, and I did get impatient at times. Although I have to stress that it wasn't the bad impatience, but the good type where you just have to keep reading to see what will happen next. I said above that this was fast-paced, and there is a lot going on. At times there is so much happening that it leaves you almost breathless. Fortunately de Jager manages to steer the reader through events with a deft hand. Even when there is a multitude of things happening at once the author manages to keep it focused so that it never gets confusing. Tension levels are high throughout, and there are some cliff-hangers that does not make stopping reading a real option. The last quarter of the book is not a good place to take a break from reading, you'll probably need to know how it will end at that point - I did. This is an excellent Urban Fantasy novel, especially for those that like a helping of Fairy Tale in their Fantasy. Kit Blackhart is an excellent main character, and the supporting cast are also a joy to get to know. 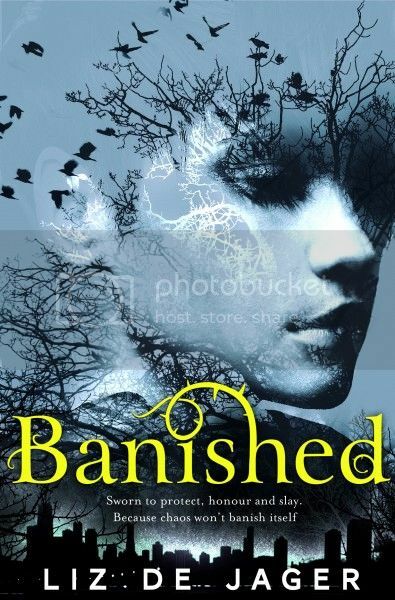 Add in great worldbuilding and a fast-paced story that refuses to let the reader go, and you have the ingredients for what is in my opinion a must-read for fans of both Contemporary Fantasy and Fairy Tale retellings. De Jager's debut leaves you with an appetite for more. I am certainly looking forward to the next volume in The Blackhart Legacy. NO AMAZON BUY-LINKS IN 2015. Well, this isn't an idea that came to me during the latest incidence of Amazon behaving like a fucktard. It is something I have been thinking about for a long time, since Amazon bought Goodreads. I was planning to write this post last year, with a call to remove all Amazon buy links in 2014. But for several reasons I was delayed, and I wanted to give people time to remove their links. This is an experiment, or a challenge if you will, to show that Amazon is dependent upon people linking directly to their buy-pages. I honestly think that the biggest convenience with shopping at Amazon is that you get a constant barrage of direct links to buy-pages. Consumers are fickle creatures, and I think that it will not take very long for them to get used to shopping elsewhere. And I have myself witnessed things online that make me think that quite a lot of people shop at Amazon out of laziness, and I think those people would be happy to shop anywhere as long as they get a direct link to a buy page. First, I'll tell you what I have observed. The events that made me think that the buy-links put out there by readers, reviewers, and others are what gives Amazon its convenience. * I said I started thinking about this when Amazon bought Goodreads. Actually that was just the catalyst for thoughts that started some time earlier. When it was announced that Goodreads had had a disagreement with Amazon, a lot of people on Goodreads where very happy they didn't back down when Amazon started making demands. There was however a quite vocal group that were pissed at Goodreads. This group were Amazon customers, mostly Kindle owners from what I saw. Incredibly, some of them were complaining that they had to scroll down to find the Amazon link. And that is when the thought that had been forming in the back of my mind since Amazon bought The Book Depository leaped out: People find it easy to shop at Amazon because they get direct links. Once I'd had that thought, I couldn't really help going to the next step: The loss of buy-links was part of Amazon's decision to buy both The Book Depository and Goodreads. I have absolutely no evidence for that though, and the only way to prove I am right is to remove all Amazon buy-links. Which is what I am suggesting. Yes, you got it right, I want there to be no direct links to buy pages on Amazon. I suggest it now so everyone has time to remove them before 1 January 2015. And if people start removing the links now, and talking about why, I think most readers will be used to it come the New Year. I am aware of how people think they are dependent on Amazon to sell books, but as said above, I think Amazon's convenience is its buy-links. I do not think the average reader who shops online will take long to adjust to links leading elsewhere. And as an extension of that, shopping for books elsewhere. There might be a small short-time loss, but I think it will be survivable for everyone. With the blow back Amazon's behavior is getting, it might even turn out that those who want to shop elsewhere if it is made easy by having links to other stores outnumber those that will only shop at Amazon. And let's face it, with tablets making dedicated e-readers more or less obsolete, few reader are really locked into Amazon's e-book format. I'll end with making this challenge to everyone in the SFF community. Do not link directly to Amazon buy-pages in 2015. Link to other stores, or if you are an author/publisher to where the book is available to buy on your own site. P.S You might notice that there are no buy-links at all on my blog. There is two reasons for that. The first is I want to be a neutral reporter, to have what is referred to as journalistic integrity. ****** Linking to a single store can be construed as "textual advertising" (, or whatever the English expression is), you are sending your readers to a market. At its most basic it is advertising. The second is that to have buy-links and be neutral, you'd have to link to all sellers. One minute of thinking gave me ten online shops in Norway. How many thousand there is around the world I don't know, but more than enough that it is very impractical to link to them all. * I will be focusing on books, since that is what I have been observing for the past six years online. ** I think that allowing that purchase to go through was a huge mistake by the regulatory authorities. Ideally they should make amends by forcing Amazon to sell it. *** Sorry for not giving accurate dates on everything. I simply do not have the time to spend on as much research as I would like to do. ***** Apparently the purchase of The Book Depository was announced on 4 July, while the Goodreads announcement cam 1 April. Not exactly dates you'd chose if you wanted attention to what you were saying. ****** My father just retired after being a journalist in Norway since before I was born. So I know how a journalist is supposed to behave. Granted, less and less journalists behave that way these days, but that's no excuse not to keep to those ideals. This is a special cover for me. It is the cover for my girlfriend's debut novel. it will be out from Fox Spirit in July 2014, at EdgeLit in Derby. I've seen earlier incarnations of this cover,. Not much has changed, but I think the final version is the best one. I might be a bit biased this time, but I think it is a great cover. You can see the full wraparound underneath. 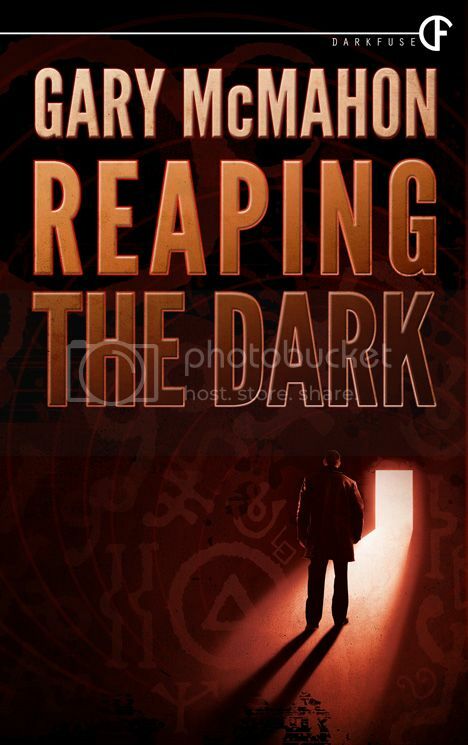 Another third book, this one coming 23 September 2014 from Thomas Dunne Books. The design here screams "East Asia", while the art says "Anime". I think this is an interesting one, and one that is likely to divide people's opinion. 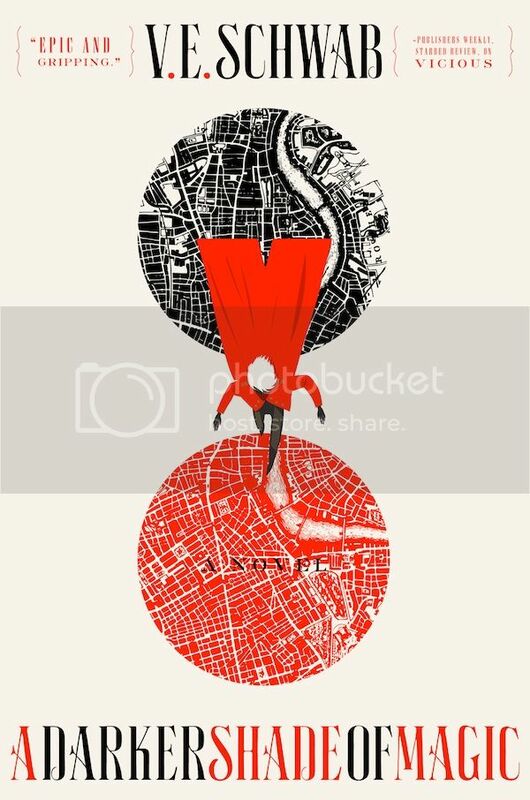 I've not read any of the books, but from what I have read about them this seems to be a good cover. Personally I like the art, it is a nice image. Art by Alejandro Colucci adorns this book, coming from Solaris in August 2015. I've had a few of Colucci's covers in these posts earlier, and they are always excellent. There's really nothing else to say, it is a great piece of art. 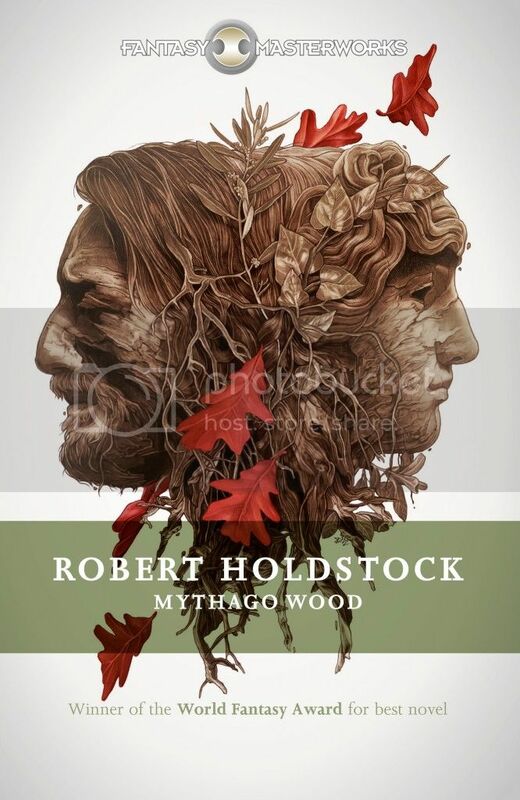 This is the cover for Gollancz's Fantasy Masterworks edition of this famous Fantasy novel. It will be out in November 2014. The design is by Graeme Langorne and the art by Grzegorz Donaradzki. I think it is a lovely cover, both the art and design are great. It makes me want to re-read the book, and maybe I'll get this edition to do so as mine is still in storage back in Norway. 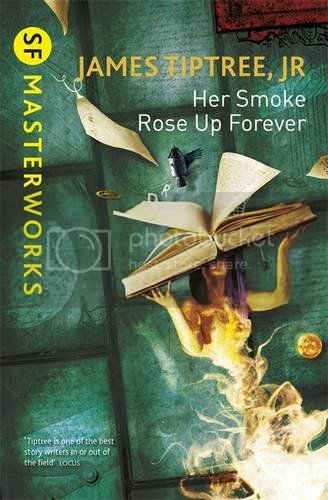 Another re-issue from Gollancz, this time in their SF Masterworks series. From what I could see online this is collection that had its only publication in 1990. 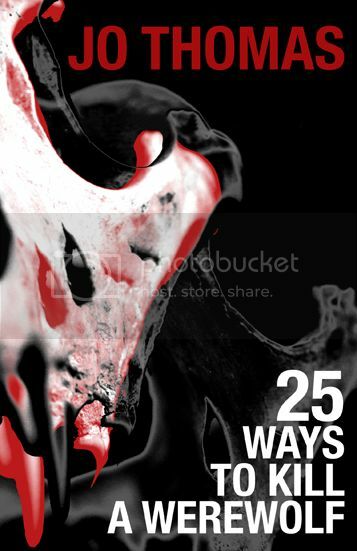 The cover is a really eyecatching and intriguing one. I think it is a very good piece of cover art. Certainly makes me want to get hold of this when it comes out 10 July 2014. 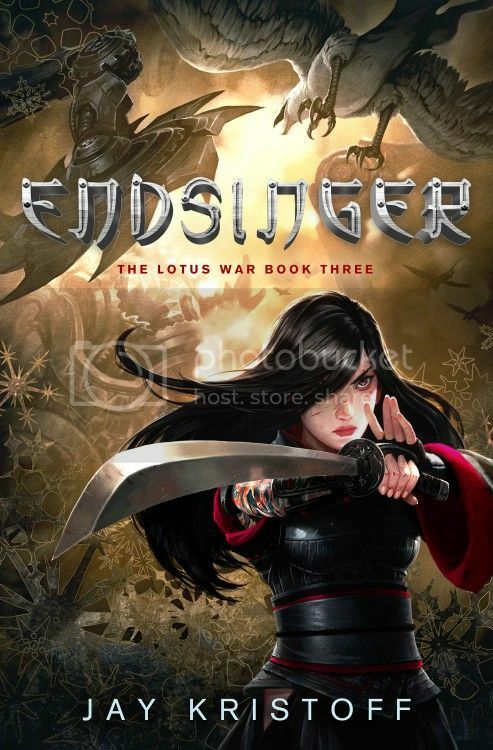 This book will be out 25 February 2015 from Tor. The cover is by Will Staehle, and you can read about how it was made here. I quite like Staehle's covers, and I also like maps. So it should then come as no great surprise that I really like this cover. This will be out 16 September 2014 from Mullholland Books. I usually only do SFF books here, but I thought I'd me a rare exception for this Crime novel because the author is most known for his SFF. It's actually a strangely simple cover. I have trouble deciding what I think of it. I'm not sure if it is good because it is cut down to basic, or if its basicness makes it look cheap. And finally a book that will be out 14 October 2014 from Orbit. 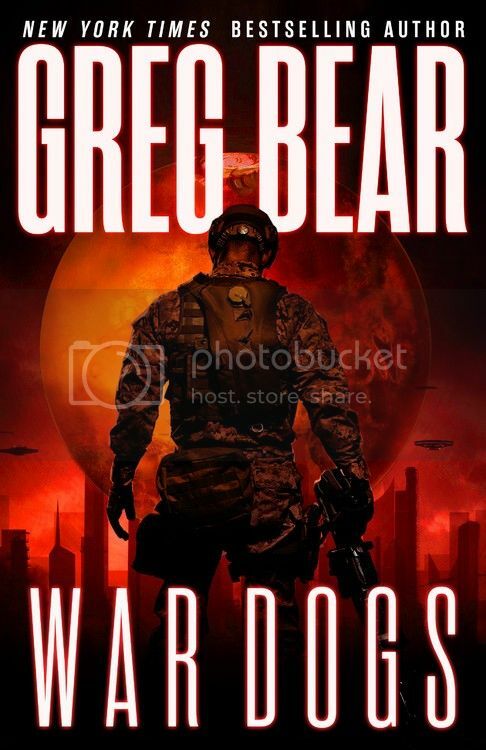 This really screams Military SF, booth in image and title. What you think of it will probably be dependent on what you think of that SFF subgenre. Apart from feeling that I have seen this cover on a Military SF book at some earlier point I don't think there is anything wrong with this. Despite what you might think at first glance, this book is neither Fantasy or about Fantasy. 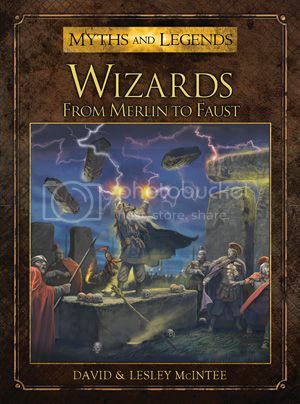 It is a short introduction to people who have been called wizards through history. That by no means that it is not of interest to fans of Fantasy though, they'll find some stories in this book that will be right up their alley. This book starts early, with Ancient Egypt and moves through history before ending with famous names John Dee and Johann Georg Faust. At the length it is it is more of a series of snapshot than a comprehensive guide to wizards, but this is very fulfilling as it is. There are some famous names among those covered, Merlin being the most obvious but I think Nicolas Flamel might not be far behind in the fame stakes because of his association with a certain fictional boy wizard. I am actually more interested in the names I have not heard, or have heard just mentioned, and most people will find those here. I was especially pleased to see that there is several non-Europeans mentioned. Above I pointed out that Harry Potter is a fictional wizard, and I have said that this is a book about history. It is, this is a Non-Fiction book. Everything in here is fact, or have at least at one point been considered facts. We may look at the stories in here as myths and legends, but it is that they were believed to be true that fascinates me. And who knows, some of them might be, I wasn't there when the events they tell of happened. The stories are really interesting in themselves, and they give a fascinating insight into belief through the ages. But the stories don't really fall apart when the authors presents the factual accounts of the people in them. (Or the facts as we understand them. New evidence changes how we look at history all the time.) That some of these characters are important historical figures is something that will never cease to fascinate me. Lesley and David McIntee writes a compelling Non-Fictional narrative. This book is written in an easily accessible style, and the text flows nicely. There's no disconnect with the retelling of old myths and legends and the factual pieces that end each persons part. As far as Non-Fiction goes, this is one of those short volumes that are easy to pick up, and get through. This book is illustrated throughout, not only by the credited Mark Stacey, who has done some excellent work but also with different historical images, and even some pictures. The illustrations complement the text very well, and they make for an even more enjoyable reading experience. I don't really have any complaints about this book. It does what it sets out to do in a very good way. I came away with some new knowledge, something I always see as a good thing, and I read some fascinating stories. This could be used as pure entertainment for those that are so inclined, Fantasy fans is advised to take a look. But what it is, and what it works best as, is a short introduction to the historical figures that have been known as wizards. This is an excellent starting point for those that want to find out about where Gandalf and Dumbledore have their roots. And it will be an excellent read for all ages. If I was to make a couple of wishes (, that don't reflect in any way on this book) , it would be that Osprey does another volume that covers the modern Mages, like Waite and Crowley, and it would be nice to have a volume similar to this about witches. The prologue is your clue here. After that it seems like just another Heist Gone Wrong story for well over half the story's length. So let's deal with that part of the novella first. McMahon introduces us to Clarke, a getaway driver for a small gang robbing a drug deal. Things inevitably go wrong, this is how the story starts. We get an excellent Noir tale of the aftermath of the botched robbery in the opening of part one. This is Crime Noir fiction at its best. The dark underbelly of a modern city is given us without any polishing, and the protagonist shows himself to be considerably less than an angel himself. The atmosphere is excellent, you can see a vivid picture of the grimy locations and really get a sense of unease as we learn what kind of life Clarke is leading. The tension is high in the first part of the novella, but when everything shifts to a Horror direction it is cranked up several notches. The tension from the Horror aspect doesn't completely overshadow that from the Crime Noir. Instead they feed off each other and amplify it to an almost unbearable level. This is simply a very tense read. When the story "switches tracks" it is almost disappointing that the game is given away by the prologue. But only almost. It struck me a little bit after finishing that some of the tension of the first half or so is actually created by what we learn in the prologue. McMahon has given us a little teaser, and then he makes us wau\it for a long time to see what is coming. Seen in retrospect it is excellently done, and it makes the Horror payoff all the more satisfying when it comes. I won't say much about the ending except that it does play on a familiar (, to me at least,) Urban Myth in a way that does not feel cheap. It does in some way make for an easy explanation, but when it comes it simply feels like it was the natural explanation. The very end of the story, before the epilogue, is excellent and chilling. It is not wholly unexpected, but it still packs a powerful punch. 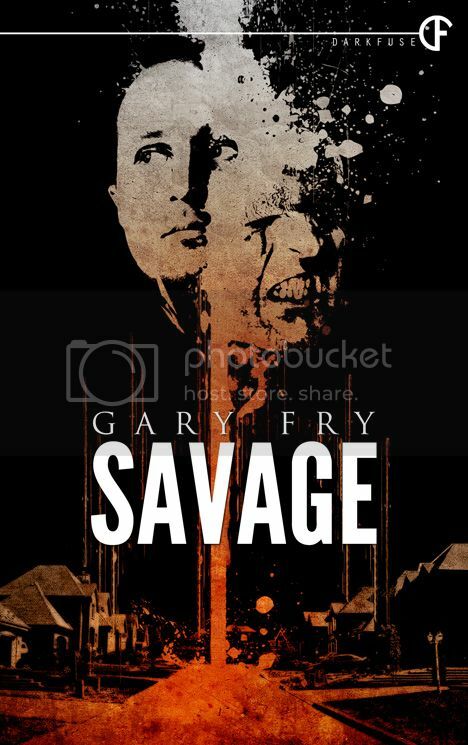 Overall this is an excellent novella that manages to create a near perfect blend of Crime Noir and Horror. It is not a very short story, but it comes with all the fat trimmed off. At no point do you feel like words are wasted. I will say that I think this is a novella that can be picked up by fans of both Horror and Crime Noir, and they will get a satisfying read. 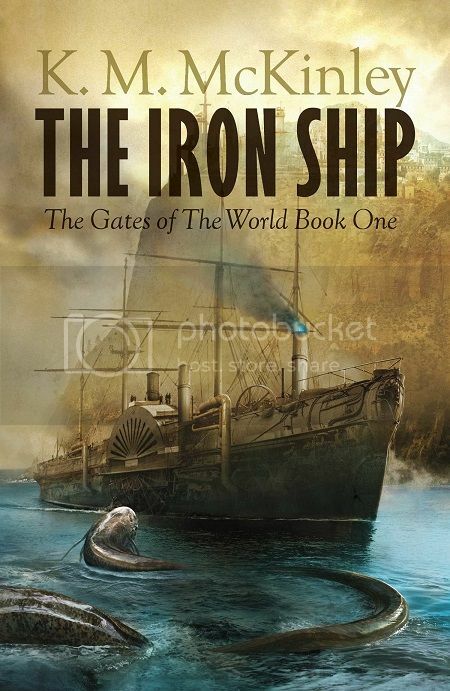 It is also a story I would not hesitate to recommend to any fan of SFF or Crime. McMahon has simply written a great novella that will give you a tension-filled and satisfying hour or two.